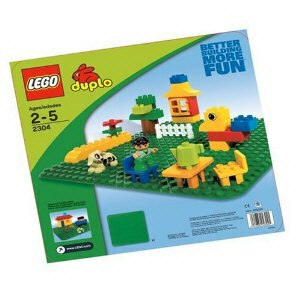 The LEGO Duplo: Preschool Green Building Plate is not only the perfect place to start for any LEGO adventure, but it’s also the foundation on which many hours of building fun will be attributed! Measures 15″ x 15″. 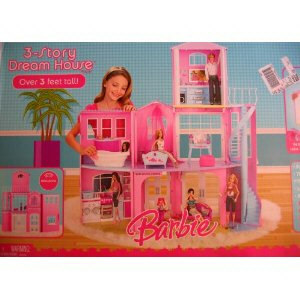 Barbie 3-Story Dream House Playset is a 2008 Mattel production. 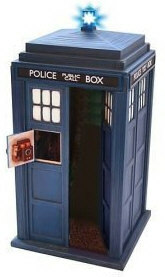 Includes 70+ Play Pieces & comes Fully Furnished! There’s a state-of-the-art Kitchen & luxurious Bed & Bath Suite & an Escalator brings you to the third floor! Real sounds include: Door Bell, Music, Flushing Toilet, Sizzling Stove Top; Lamp lights up, “Magical” Staircase moves when you turn handle, Cabinets & Drawers open & close, the Washer spins, & the Third Floor detaches for a take-along playhouse! For Ages 3+ Years. 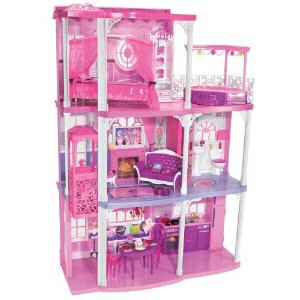 Playset items pretend & intended for Barbie & 11.5″ fashion dolls; NO DOLLS are included. All details to the best of my ability; sizes & info may vary. Box measures approx. 36″ wide x 23″ tall x 9.5″ deep; sizes may vary. PLEASE check in CONDITION NOTE/Comments for the Box Condition Information. The U.S.S. Enterprise has seen more than her share of interstellar adventures over the years and now the all-new High Definition ship can be yours! Featuring a design based on the remastered Star Trek television series, this sixteen-inch starship sports additional details now visible on the classic U.S.S. Enterprise NCC-1701!